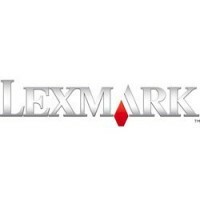 LEXMARK 360H11E BLACK (9.000 PAGES) REMAN. C500N/X500/502 HC Cyan Toner Cartridge (3k)..
C500N/X500/502 HC Magenta Toner Cartridge (3k) ..
C500N/X500/502 HC Yellow Toner Cartridge (3k)..
C500N/X500/502 HC Black Toner Cartridge (5k) ..
C510 OPTRA HC Black Toner Cartridge (10k)..
C510 HC Cyan Toner Cartridge (6,6k)..
C510 HC Magenta Toner Cartridge (6,6k) ..
C510 HC Yellow Toner Cartridge (6,6k) ..
C522/ 524 / 530 / 532 / 534. Black Toner Cartridge (4k)..
C522/524 / 530 / 532 / 534. Cyan Toner Cartridge (3k)..
C522/524 / 530 / 532 / 534. Magenta Toner Cartridge (3k) ..